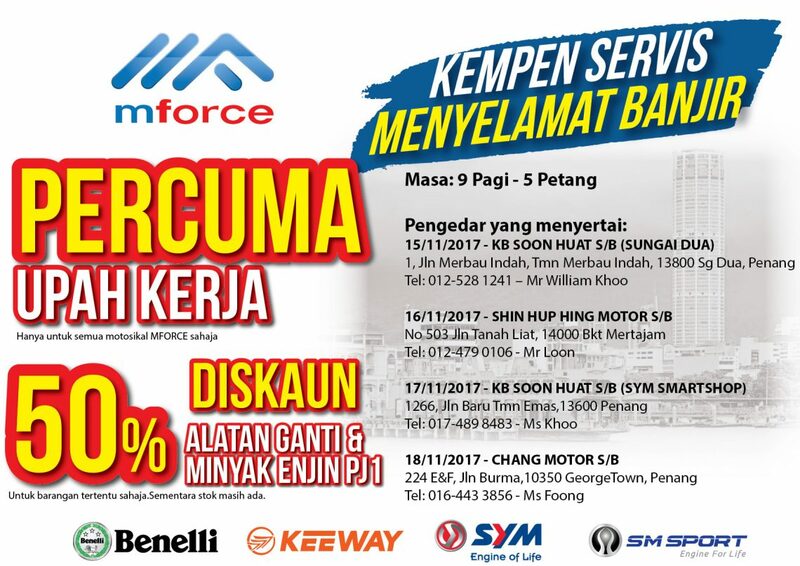 Penang, 13 November 2017, Mforce Bike Holdings Sdn Bhd launches Service Campaign to assist all affected Mforce motorcycle users including SYM, Benelli, Keeway dan SM Sport. During this service campaign, users are entitled for FREE labour cost, 50% discount on selected spare parts and PJ1 engine oil. 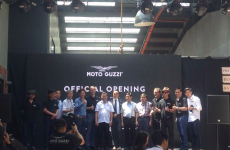 For more information, please contact Mforce Bike Holdings Sdn Bhd Service Centre at 04-554 1777.